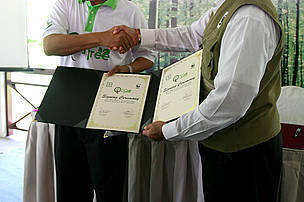 The leading consumer electrical and electronics retail chain store in Malaysia, has pledged to restore up to 46 hectares over 3 years of degraded forest in North Ulu Segama, Sabah. 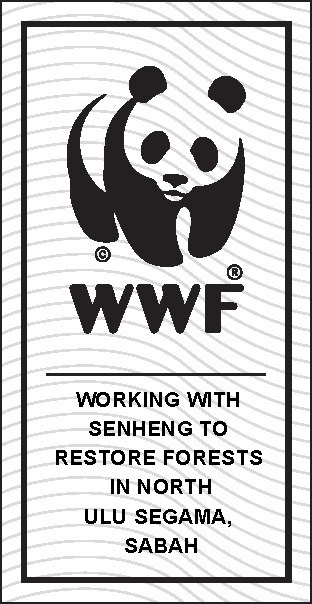 Senheng has pledged to aid WWF-Malaysia in the vital restoration of the forest in North Ulu Segama, Sabah, to help conserve the wildlife there. The North Ulu Segama forest is the natural habitat for many endangered wildlife species such as orang-utans, Borneo Pygmy elephants and Sunda Clouded leopards. Due to previous illegal deforestation, there is now an urgent need to rehabilitate and restore the forest in this area to ensure a higher rate of survival for the wildlife. 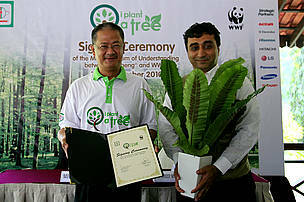 As part of this partnership with WWF-Malaysia, native trees will be planted to aid in the vital restoration of this area. 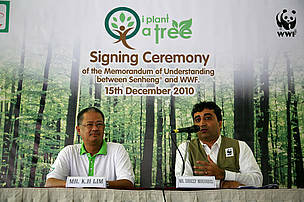 Senheng will also be running the ‘I Plant a Tree’ campaign at all its retail chain stores in Malaysia, where for every pair of inverter air-conditioners sold, a tree will be planted in North Ulu Segama, Sabah. Due to previous illegal deforestation in the Ulu-Segama area, much of the area has been destroyed and rendered inhabitable. The Ulu Segama and Malua (USM) forest reserves located in the Segama-Kinabatangan landscape represent a core area for Sabah’s orang-utan population. It is also the home for other important wildlife such as the Borneo Pygmy Elephants and Sunda Clouded Leopards. In order to ensure the survival of this endangered wildlife, there is an immediate need in the restoration of this area to make it conducive for them to live and populate again. The preservation of the forest and endangered wildlife is essential as it will ensure that our future generation will still have the opportunity to see such beautiful landscape and wildlife.